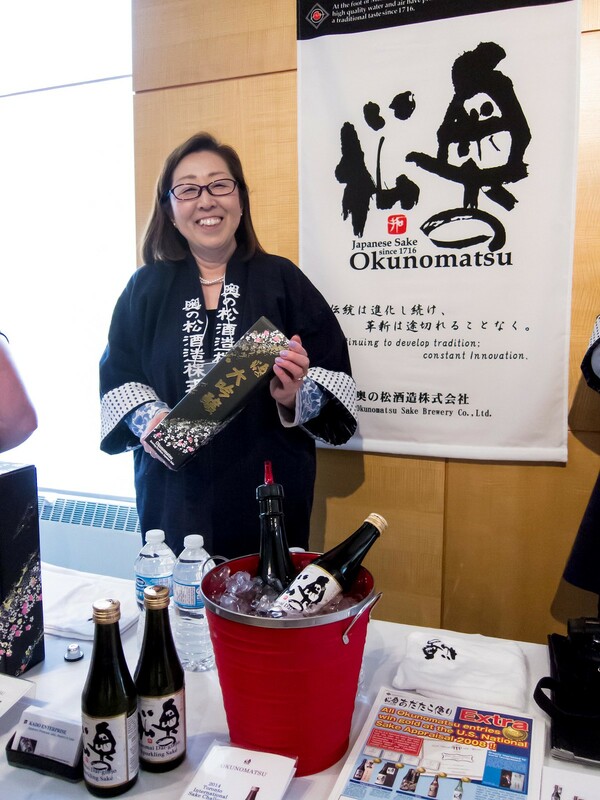 Kampai Toronto, held by the Sake Institute of Ontario (SIO), is the largest sake festival in Canada and will take place on May 29th, 2014 in the Distillery District. 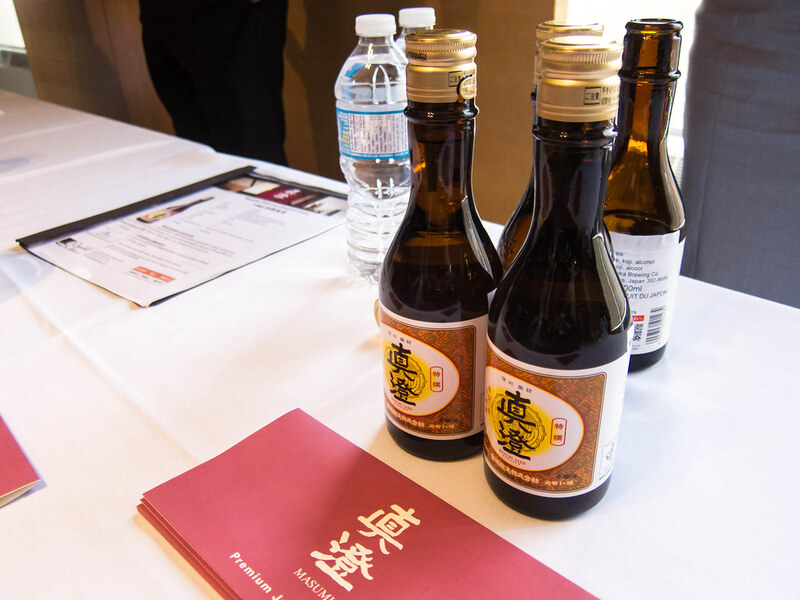 Going into their third year, the festival has grown to showcase over 150 sakes brewed across North America and Japan. 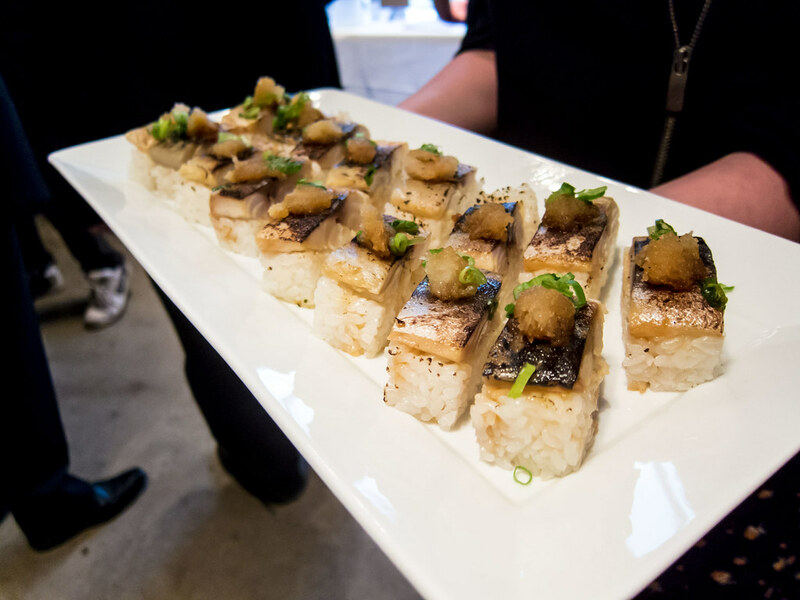 For a single ticket price, guests are invited to taste all of the sakes being poured at the event along with appetizers from great Toronto restaurants such as JaBistro, Nome Izakaya, Hapa Izakaya, Zakkushi and Bent. 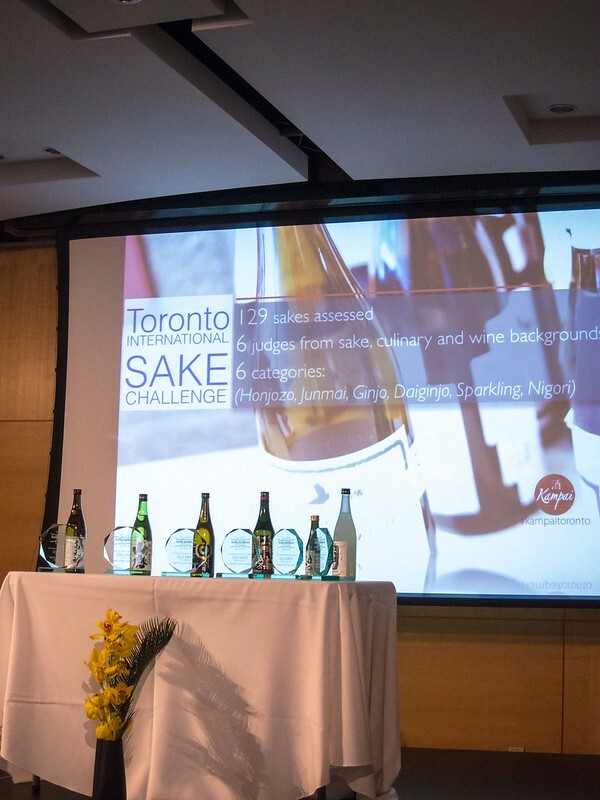 This year in anticipation of Kampai Toronto, the inaugural Toronto International Sake Challenge was held on April 28th, 2014. 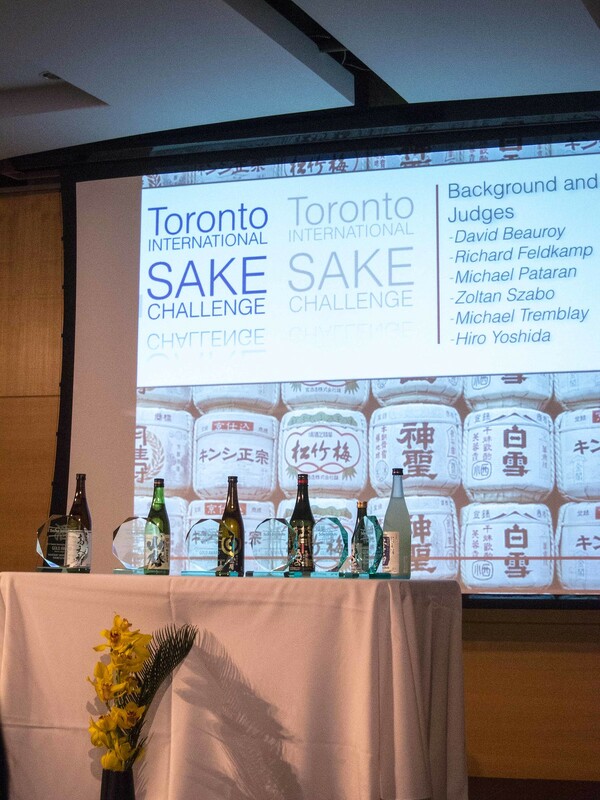 Over the span of 7 hours, a panel of 6 judges from sake (Michael Tremblay, David Beauroy), wine (Richard Feldkamp, Zoltan Szabo) and culinary (Hiro Yoshida, Michael Pataran) backgrounds blind tasted 129 sakes, across 6 categories and scored each sample based on their aroma, flavour, appearance, finish and overall impression. 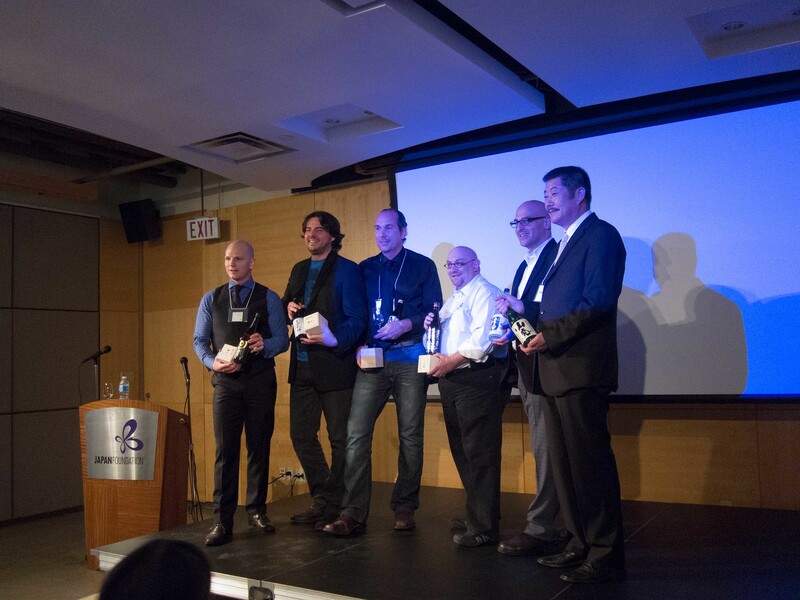 For each category, an overall winner was chosen and gold and silver accolades awarded. 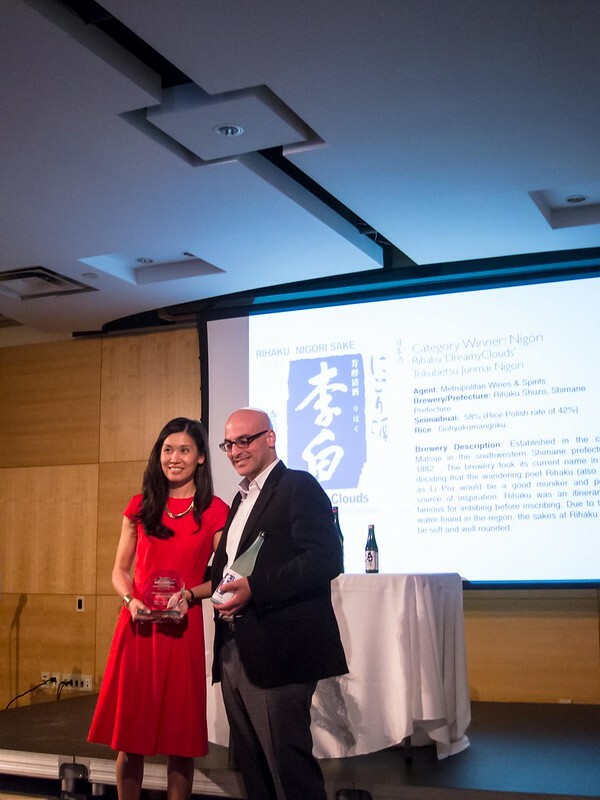 Winners were announced at the media launch last Thursday, catered by JaBistro where guests were able to sample many of the entries. 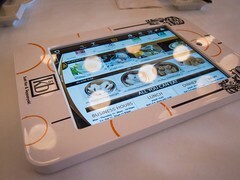 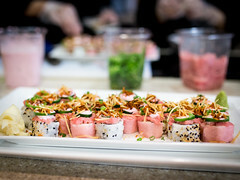 It was mini preview to what guests can experience at Kampai Toronto on May 29th. 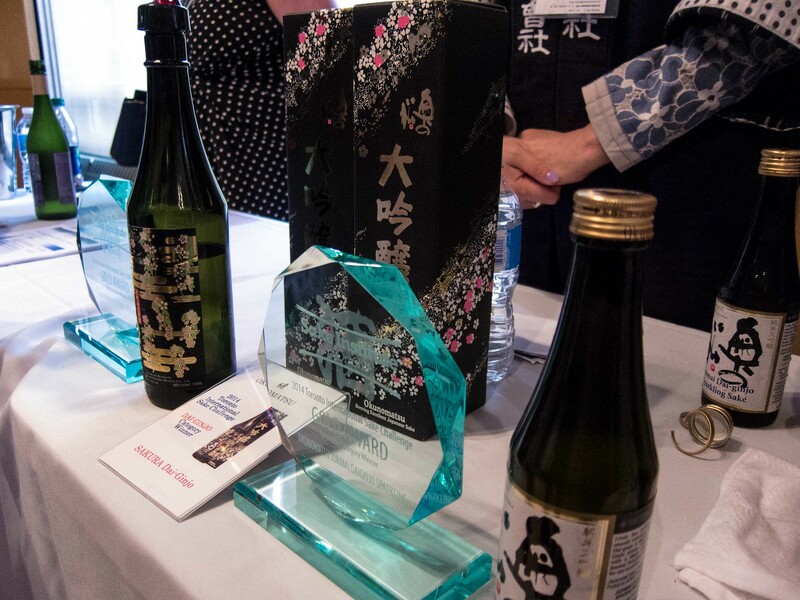 Before each category winner was announced, the judge explained the sake category in detail, what they were looking for and what made the winning sake shine. 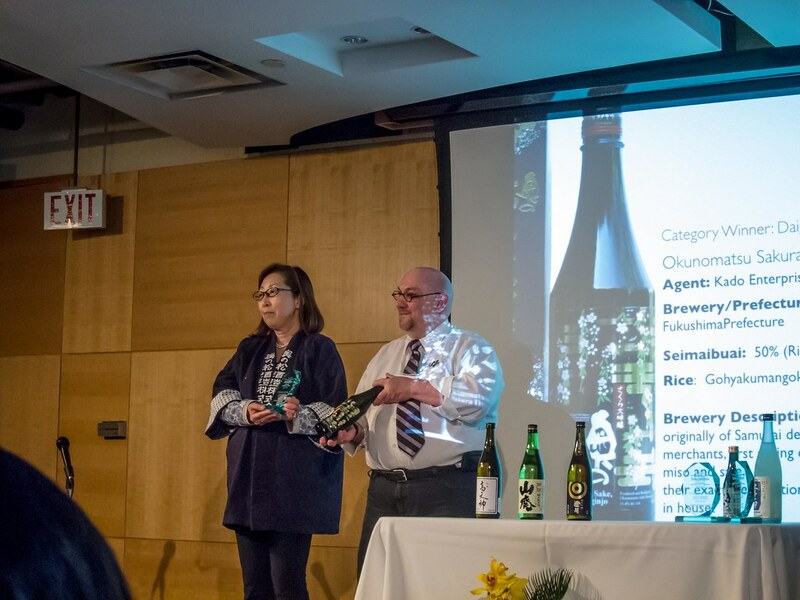 I learned so much about the brewing of sake, how the different varieties vary from one another and the whole event gave me a much deeper appreciation for the alcohol. 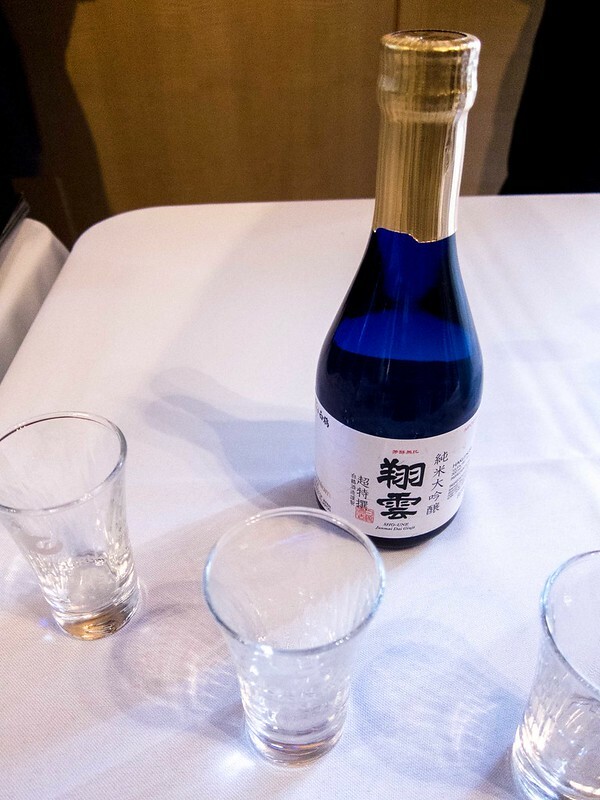 My first sip of sake was in 2009 during my trip to Japan. 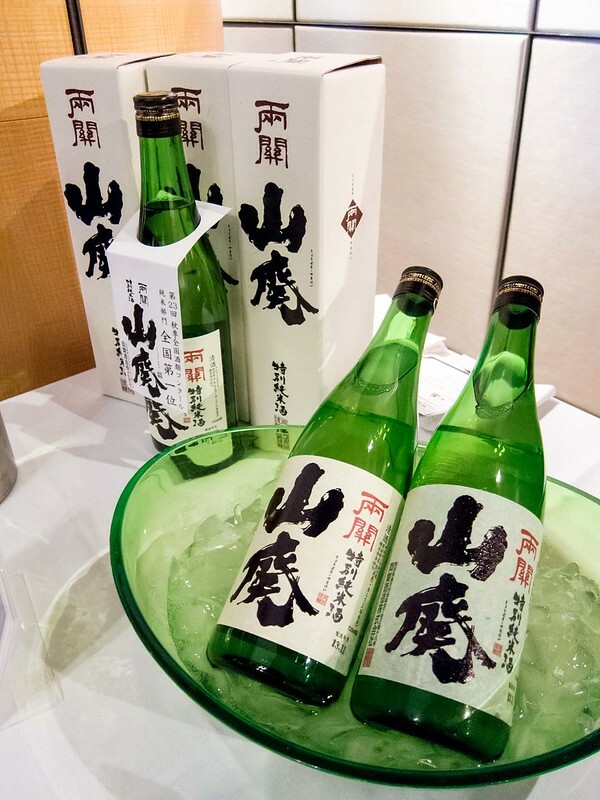 My friends and I were in a restaurant in Osaka and ordered a bottle recommended to us by our server. 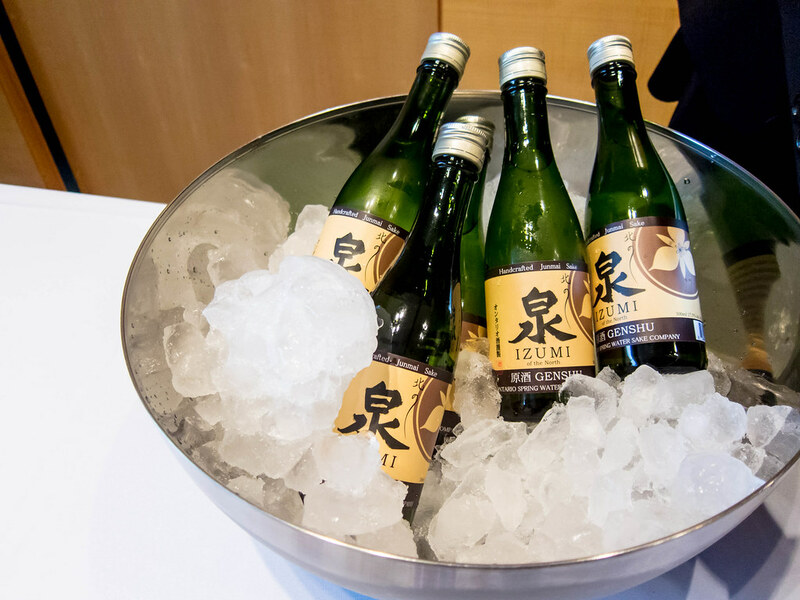 The sake was served cold and I wasn’t a huge fan. 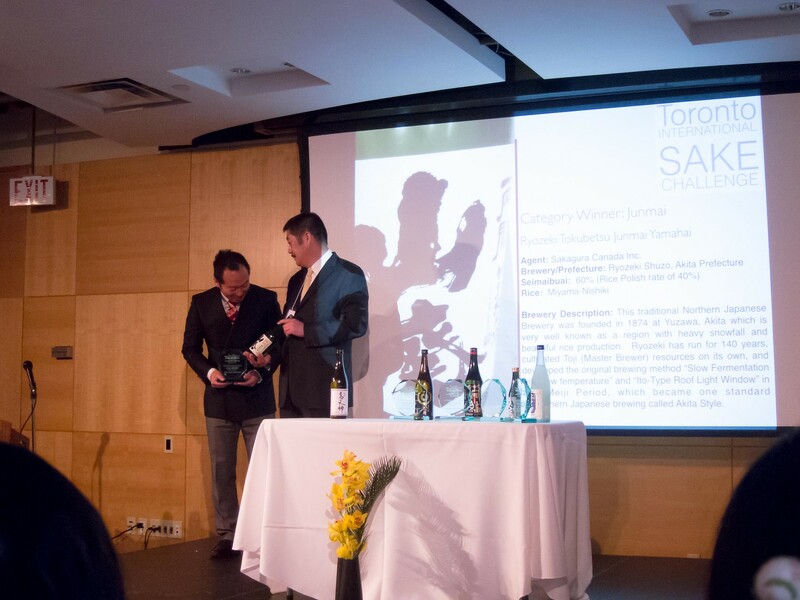 Since then, I’ve grown to enjoy sake much more and it’s all due to the amazing selection of sake available in Toronto restaurants and very knowledgeable servers. We are lucky to have a wide variety of sakes available to purchase at the LCBO. 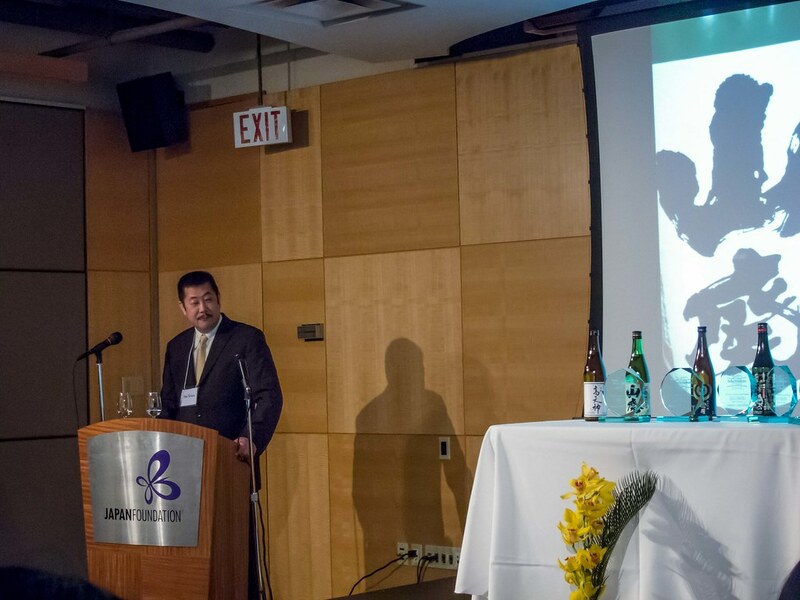 The SIO, a non-profit trade association works to increase consumer education, awareness and availability if sakes in the Ontario market. 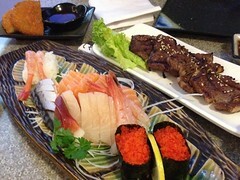 Disclaimer: All drinks and dishes were provided free of charge. 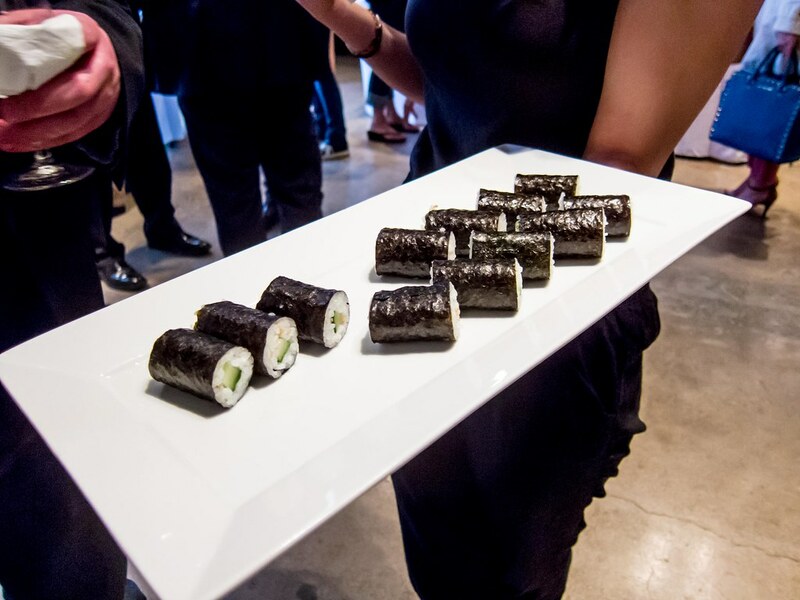 All opinions expressed below are wholly mine. 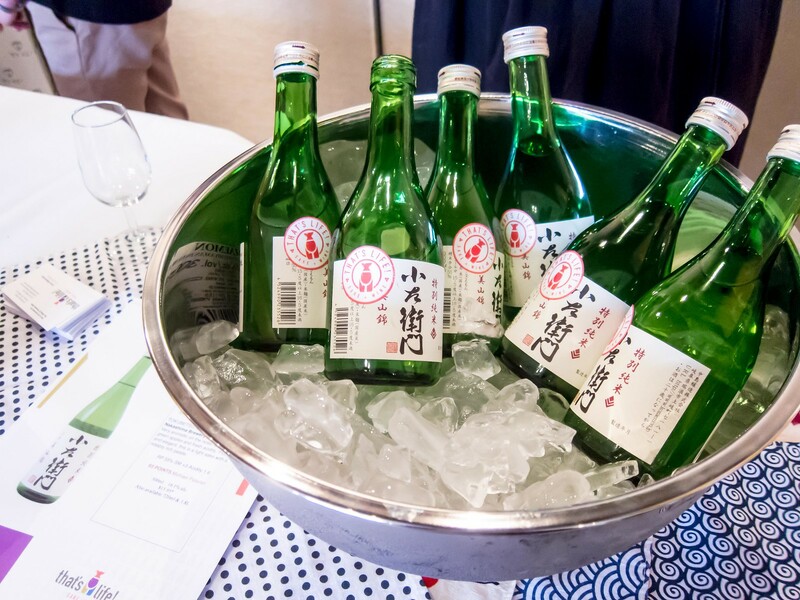 Tasting Notes: I found the clear sake very light and easy to drink. 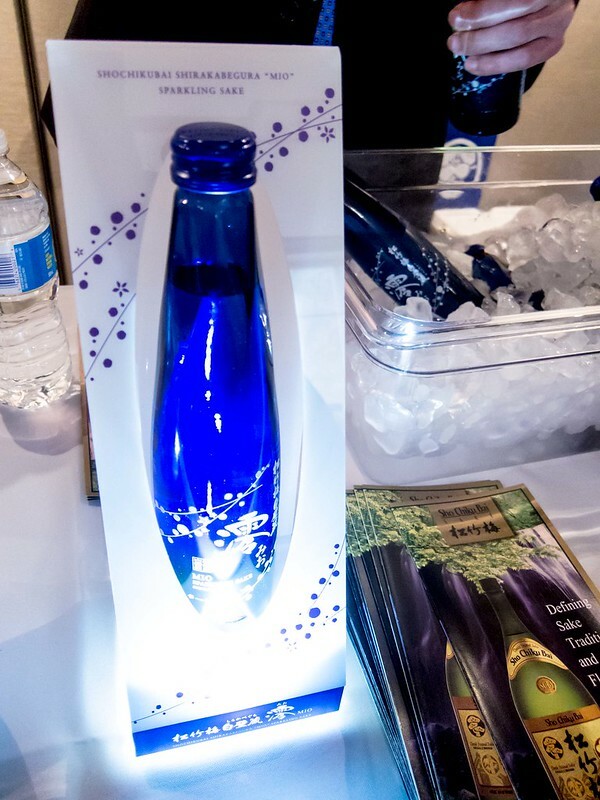 Each sip was slightly fruity and had a very mild sweet, rice flavour. 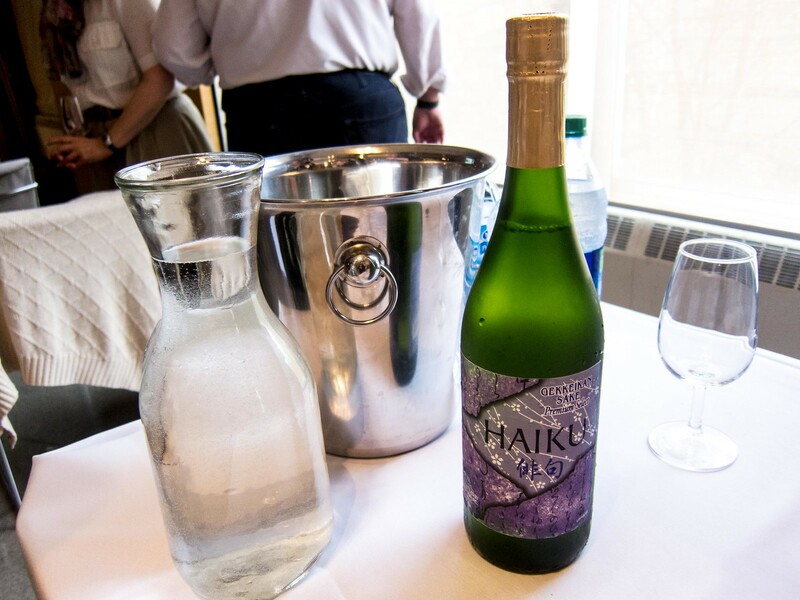 Tasting Notes: This bottle was the Daiginjo category winner and was a very clear, crisp, sweet sake. 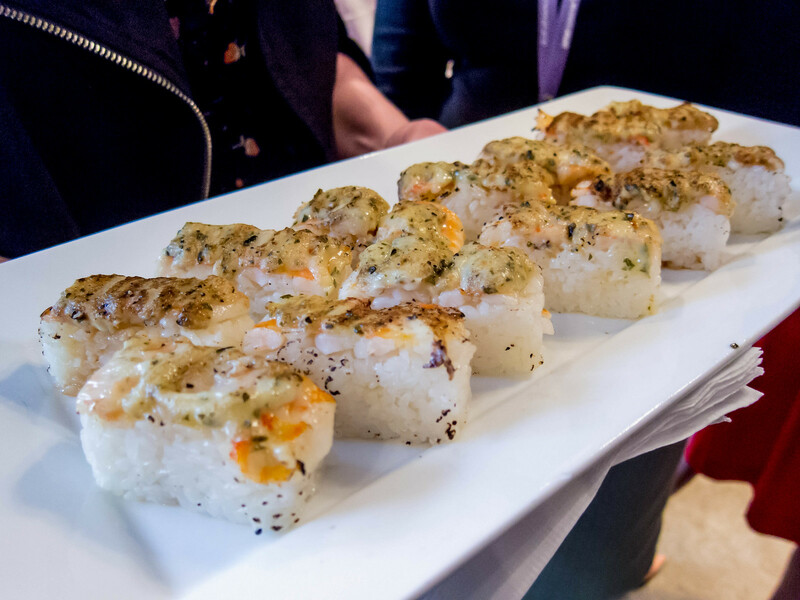 Milled to 50%, the rice flavour was very light and the fruity flavours came through strong. 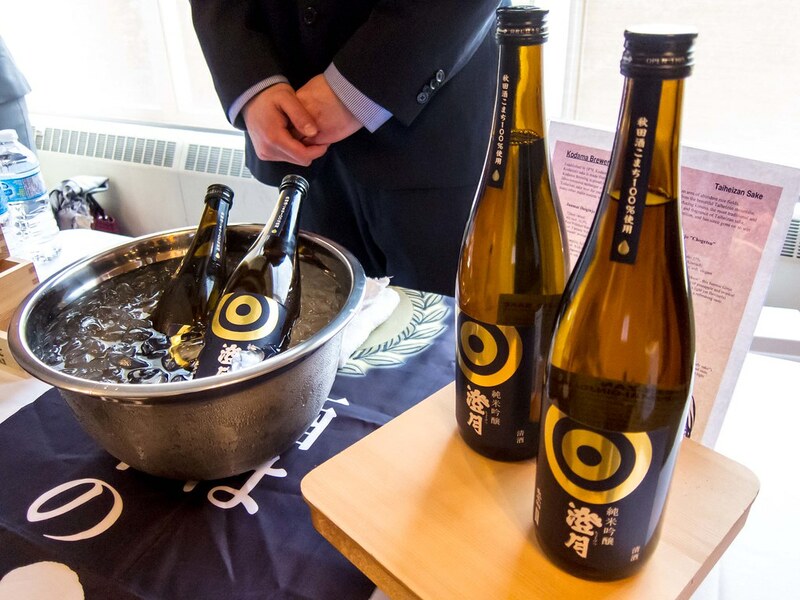 Tasting Notes: At only 5% alcohol %, Mio was a bubbly, fruity and summery drink. 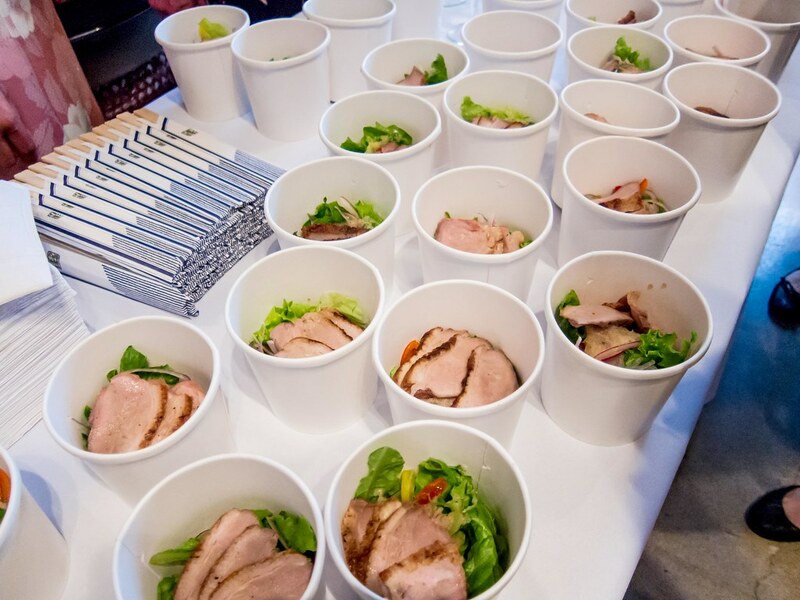 The flavours reminded me of white sangria and there was very little rice flavour. 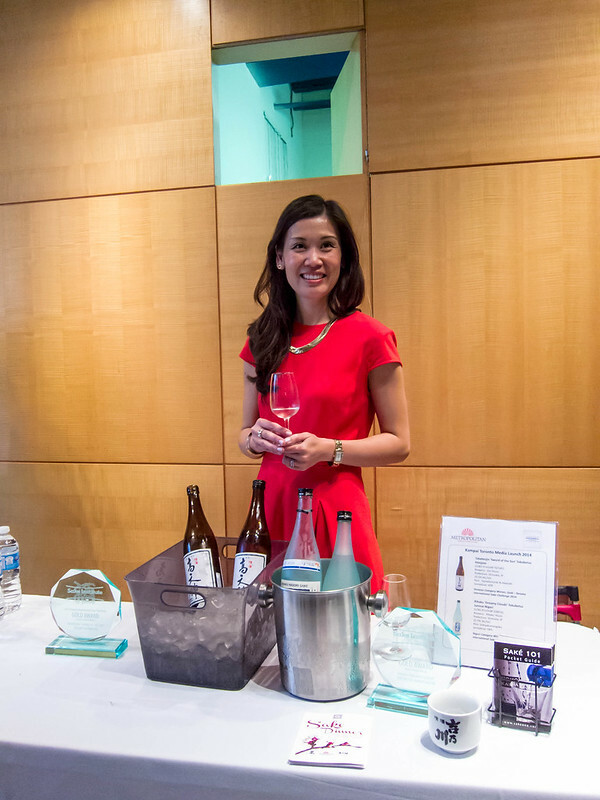 This was my first time trying sparkling sake and I really enjoyed my glass. It’s now a category of sake I’ll be on the lookout for at restaurants and the LCBO. 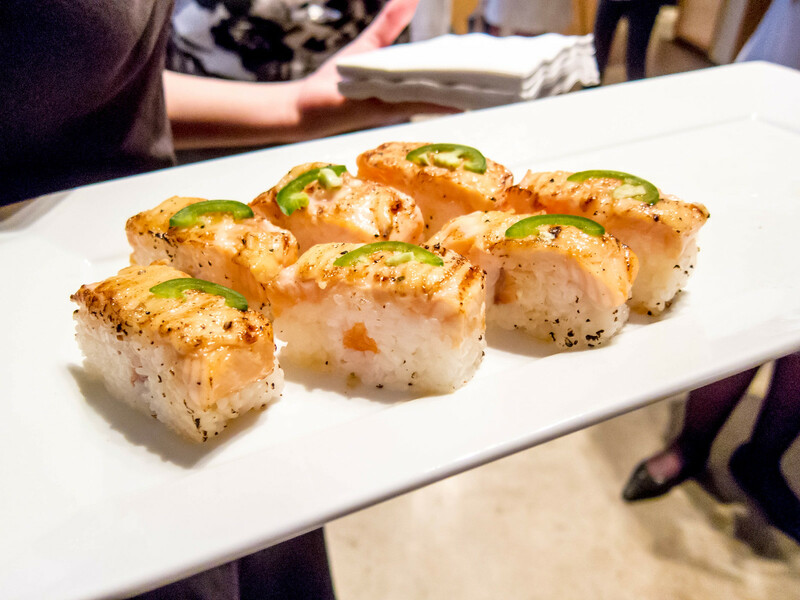 Tickets to Kampai Toronto are available to purchase online, starting at $70 per person. 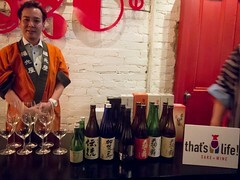 The ticket price is all-inclusive and covers all sake and food samples served during the event. 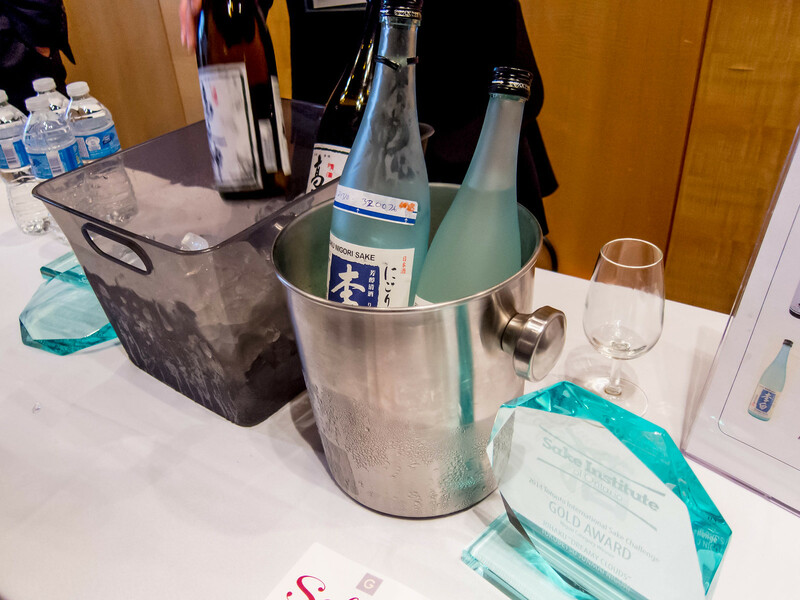 With the amazing selection of sakes and restaurant partnerships, the 3rd annual Kampai Toronto Festival of Sake is one that I’m very excited for.